I have been keeping a 'changelog' or 'upgrade progress list' in a Council-only forums section for some time, and I have been asked by a fellow Council Member to make the changelog public, so people can see many of the actual changes for themselves, and just get an idea of the amount of changes that have been made. Obviously, I can elaborate on any of this information if anyone has questions. I may also continue to log future changes here as a matter of course. Multiple logo mockups, branding and color palette experiments. Two separate development sites for experimental upgrades testing, including technical, visual, and stylistic testing. Forum and website-specific database, extensions, plugins, themes, and styles testing. Regular check-ins and opinion gathering from Council volunteers. Hours upon hours of CSS fine-tuning. Website PHP upgraded from 5.2 to 7.2. Full redundant website and forum backups saved. Database SQL files saved. Several hundred hours of development and testing by this month. Forum Icons added on forums Board Index. PHPBB Gallery updated and repaired thanks to a bug report from Grizz Gallant. Christian Crew Event Calendar added to main website menu. Graphics and Video updates produced for the site, and all CC Social Media assets, for brand consistency. New style implemented at time of upgrade. (This new style includes a REAL integration of our Wordpress and forums site, linked together in a way they never have been before. It also includes a complete color palette, logo, and branding change that is both contemporary and professional, while paying homage to the color palette of several of CC's earlier sites.) This functionality is now fully in place and working. In the Private Message system, you will be able to type the first two letters of a recipient's name and a dropdown list of all members/registrants with a name starting with those letters will pop up, allowing you to choose the correct recipient with a click of the mouse. 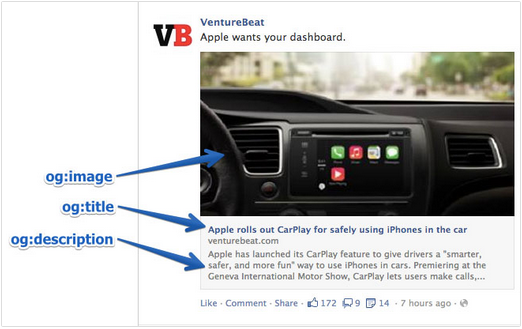 Forums now include Facebook's Open Graph Protocol technology. If you don't know what Open Graph is, it's basically how Facebook, Twitter and Google share websites socially. Various other new tools that make the use of the forums more up to date, more productive, and easier to use. Many of the existing plugins/extensions we used before carried over to the new forum version (such as some of our banning tools, tools for embedding media, etc. ), and there are plenty of new extensions for v3.2 that we could implement at our leisure, later. Added a considerable amount of design and style tools to the website backend to improve content visibility, most of these upgrades best seen in our most recent Newsletters. Re-added RefTagger (Bible verse reference tooltips) to new forums template. Added the CC "Knowledgebase" system. This is a categorized article system that uses the same tools as forum threads, such as bbcode, colors, images, smilies, URLs, and OGP urls, but there is no 'thread' or reply function. Articles must be approved before they become public. So far, our Discord and Fishsticks Guides are there, as well as the "Answers" from our Answers Forum. Added a new 'codebox' bbcode which formats programming code in various languages in colors which highlight the languages syntax, variables, or command structure using the same 'highlight.js' system that Discord uses to show codeboxes for markdown. Added 4 articles to the CC Knowledgebase. Added the new Image Upload system which works as a hotlinking repository for a member's graphics, which can be used over and over. This is separate from our gallery, and just gives the member more ability to add images to posts quickly. New downloads (primarily wallpapers) have been added to the website's Resources/Downloads section, including a compressed file full of branding and logo media. The file contains both graphics and the associated PSD files, as well as video clips and logos. To give an idea of the amount of time required for some of these steps, all of the above Forms with the * took about 9 hours total to build, edit, set up, and add to pages from scratch. Ongoing beautifying and bug correction. Still searching out CSS issues, small changes are made almost daily. Thank you for your trust in me in this area of service to our membership. Thank you for your patience as all of these moving parts slowly fell into place. I apologize for creating a 'synopsis' rather than an exhaustive list, but listing every plugin, code change, and design implementation would require several hours of boring reading. This is why I would be happy to elaborate on specifics on a case-by-case basis as needed. So, please know that any questions you might have are welcome. If anyone would like to learn any of the skills required for this sort of thing, let me know, maybe I can do some tutorials for our new knowledgebase.